Receive a 10% discount on all wine purchases up to a case. Receive a 15% discount on a case or more of one variety or mixed bottles of wine. Receive a 10% discount on all batches. Receive a 10% discount on all wine accessories. 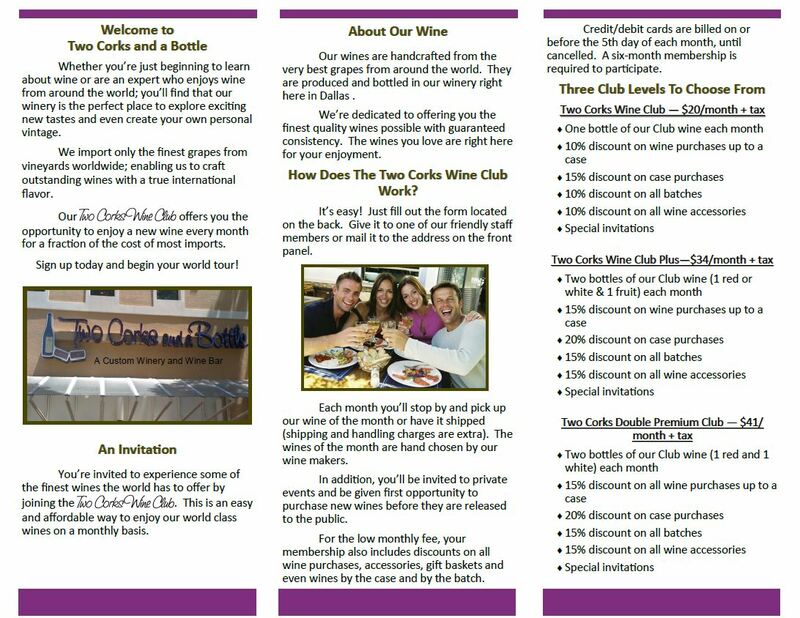 Receive “wine club members only” invitations to winery special events. Opportunity to be the first to be offered new and special releases of our wines. $20 per month plus tax. Initial commitment is 6 months (paid monthly); continues month-to-month thereafter until cancelled. Automatically billed to your credit or debit card on or before the 5th day of each month. Receive a 15% discount on all wine purchases up to a case. 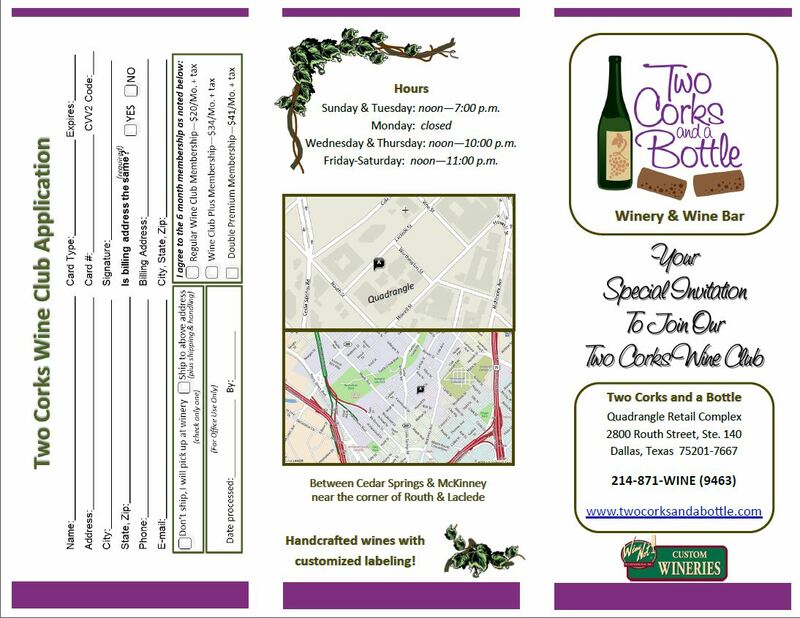 Receive a 20% discount on a case or more of one variety or mixed bottles of wine. Receive a 15% discount on all batches. Receive a 15% discount on all wine accessories. $34 per month plus tax. Initial commitment is 6 months; continues month-to-month thereafter until cancelled. $41 per month plus tax.